Murdered Belfast solicitor Pat Finucane’s widow is to seeking to overturn a ruling that British prime minister David Cameron acted lawfully in refusing to hold a public inquiry into the killing. Geraldine Finucane has lodged an appeal against the Belfast High Court verdict that the British government was justified in reneging on a commitment to set up such a tribunal. Her lawyer, Peter Madden, claimed internal communications shows former Secretary of State Owen Paterson had “closed his mind” to the type of inquiry previously promised. Mr Finucane was gunned down by loyalist paramilitaries in front of his wife and their three children at their north Belfast home in February 1989. His family have campaigned for a full examination of alleged security force collusion with the killers. Mrs Finucane took the prime minister to court after he ruled out a public inquiry in 2011. Instead, Mr Cameron commissioned QC Sir Desmond de Silva to review all documents relating to the case and produce a narrative of what happened. Sir Desmond’s report confirmed agents of the state were involved in the murder and that it should have been prevented. However, it concluded there had been no overarching state conspiracy. The Finucane family rejected the findings as a whitewash and accused the government of unlawfully reneging on previous commitments. Pledges to set up such a tribunal, based on the recommendation of retired Canadian judge Peter Cory, were made by a former Labour government in 2004 and reaffirmed in the following years, it was contended. Earlier this year Mr Justice Stephens ruled Mr Cameron had acted lawfully in refusing to hold a public inquiry. He found Mrs Finucane had received a clear and unambiguous promise that an inquiry would take place. But he backed the government’s case that other public interest issues, including political developments in Northern Ireland and the potential financial pressures of a costly inquiry, were enough to frustrate her expectation. Despite throwing out Mrs Finucane’s legal bid to force the authorities to publicly examine her husband’s killing, the judge also said the state had not fully met its human rights obligation to investigate. 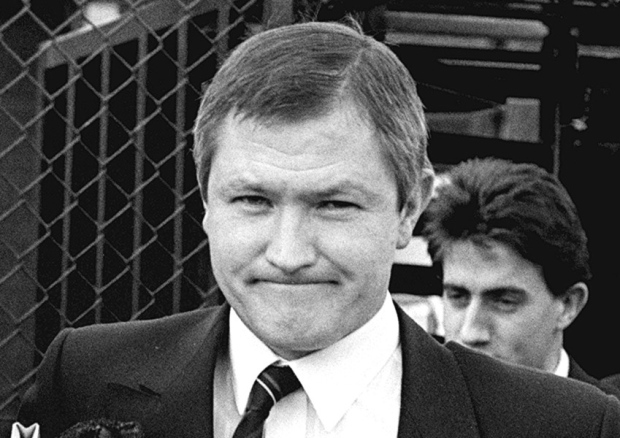 A Belfast court has upheld David Cameron’s decision not to hold an independent inquiry into the 1989 loyalist murder of the Northern Irish solicitor Pat Finucane. Finucane’s family brought a judicial review against the government’s refusal to establish a Bloody Sunday-style inquiry into his murder after a previous investigation found there was collusion between Finucane’s killers and the security forces. The judge also acknowledged that a number of key witnesses were dead and that the most significant witness would be unable to take part in a public inquiry because of a medical condition. Speaking outside the court, Finucane’s son John said the family was disappointed but would not drop their campaign for justice. “We have been on a campaign for 26 years. We have had numerous setbacks, numerous successes along that way. “We see today not as a setback which would end our campaign once and for all. There are certainly comments and material within that judgment, even with an initial viewing, that would cause us hope. “What is clear and what the court has found is that there was a clear, unequivocal promise made to my mother; made to my family as a result of Weston Park. Finucane, 38, who represented a number of high-profile republicans, was shot dead in front of his wife and three children at their north Belfast home in February 1989. The killing, one of the most notorious of the Troubles, is shrouded in controversy over allegations that the security forces colluded with the gunmen from the outlawed Ulster Defence Association (UDA). At the time of the Finucane assassination, at least 29 members of the UDA in the terror units responsible for his murder were agents either of police special branch, the army’s force research unit or MI5. Although the government-established De Silva Inquiry found evidence of collusion between the killers and the security forces, the Finucane family described the inquiry as a whitewash. They have always demanded that only an inquiry independent of government and chaired by an international figure with full public transpareny can establish the full truth about the scandal. Sir Desmond de Silva QC found there were “shocking” levels of state collusion but no overarching state conspiracy in the lawyer’s murder. 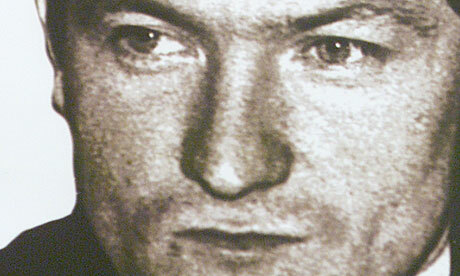 The prime minister did issue an apology to the Finucane family over the state’s role in the murder. But despite the family’s demand for a public inquiry, Cameron insisted that a public inquiry would not shed any new light on the scandal. The Prime Minister’s refusal to hold a public inquiry in to the murder of Belfast solicitor Pat Finucane was morally and legally indefensible, a court has been told. A barrister representing Mr Finucane’s wife Geraldine alleged David Cameron rejected an inquiry into claims of state collusion with the loyalist paramilitary killers over fears of criticism from elements of the Conservative Party and the right-wing press in the UK. Belfast High Court is hearing a judicial review by Mrs Finucane of the decision by Mr Cameron to rule out an inquiry into the 1989 UDA shooting in the city. Opening the case before judge Mr Justice Stephens, Barry MacDonald QC said the murder was one of the “most notorious” of the Troubles. “It is notorious for good reason,” he added. 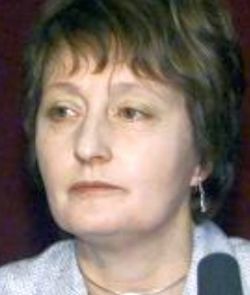 “The available evidence suggests that agents of the state responsible for law enforcement devised and operated a policy of extra-judicial execution, the essential feature of which was that loyalist terrorist organisations were infiltrated, resourced and manipulated in order to murder individuals identified by the state and their agents as suitable for assassination. The solicitor’s family has long campaigned for a full independent public inquiry into the murder, but Mr Cameron has insisted such an exercise would not shed any more light on the events. A Government-commissioned review of the controversial murder published by Sir Desmond de Silva detailed shocking levels of state involvement. That included spreading malicious propaganda that Mr Finucane was sympathetic to the IRA; one or possibly more police officers proposing him as a target to loyalists; and the mishandling of state agents inside the UDA who were involved in the murder. While Sir Desmond found no evidence of an overarching conspiracy by the authorities to target the 38-year-old lawyer, he said the actions of a number of state employees had “furthered and facilitated’’ the UDA shooting while there had also been efforts to thwart the subsequent criminal investigation. As he accepted the report’s findings in the House of Commons in December 2012, Mr Cameron reiterated an apology to the Finucane family and also pledged that the Government would examine the review in detail to identify potential lessons. Mr Finucane was gunned down in front of his wife Geraldine and their three children inside their north Belfast home in February 1989. Mr MacDonald outlined details of the various collusion investigations that examined the Finucane murder in the years following the shooting. He referred to Government papers that acknowledged the police and army engaged in an “active and significant obstruction” of an investigation carried out by former Metropolitan Police deputy commissioner Sir John Stevens. The barrister also revealed that as well as three investigations carried out by Sir John, the Government conducted its own confidential assessment of the collusion claims in 1999 – a never-published document entitled the Langdon report. The existence of the report emerged only during the legal discovery process ahead of the judicial review. Mr MacDonald said all the various investigations detailed evidence that warranted examination in a public inquiry. The barrister then focused on a commitment made by the UK Government at Weston Park in 2001 during peace process negotiations with the Irish government. The Weston Park talks resulted in Canadian judge Peter Cory being asked to examine the grounds for public inquiry in a number of controversial Troubles deaths. The Government said such inquiries would be implemented if the judge recommended that course of action. Judge Cory subsequently did recommend public inquiries for a number of killings, including Mr Finucane’s. But while the Government ordered inquiries into the other deaths, it has not given the green light for one in the Finucane case. Mr Finucane’s son John and daughter Katherine were in court for Monday’s hearing, as was the murdered solicitor’s brother Seamus. This page was loaded Apr 22nd 2019, 10:46 pm GMT.